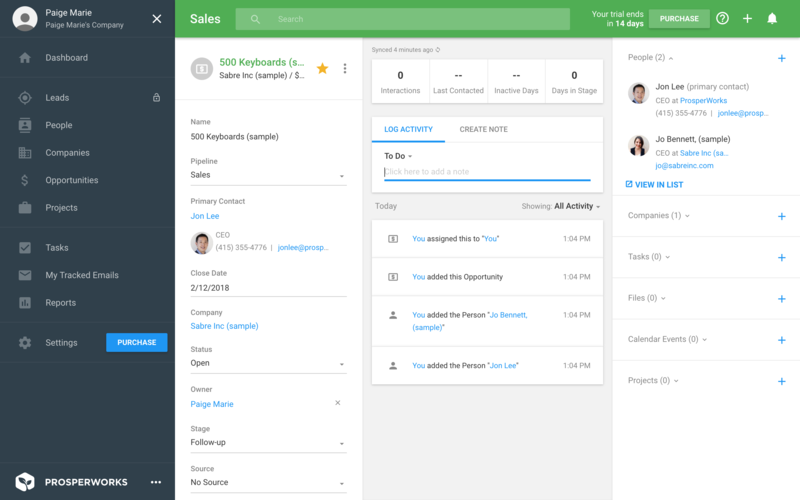 ProsperWorks is an intuitive CRM tool that was created to fit with Google's suite of products. Their product includes a Chrome extension, a G Suite add on, and a Google Sheets integration. Part of their promise on their website is that they are as easy to use as Google, which most users are already familiar with. CRMs can notoriously take some upfront legwork to learn, but ProsperWorks prides themselves on being the opposite. To demonstrate this to new users, they display a sample dashboard for users to explore, giving new users a concrete feel for how their own dashboard should be set up. 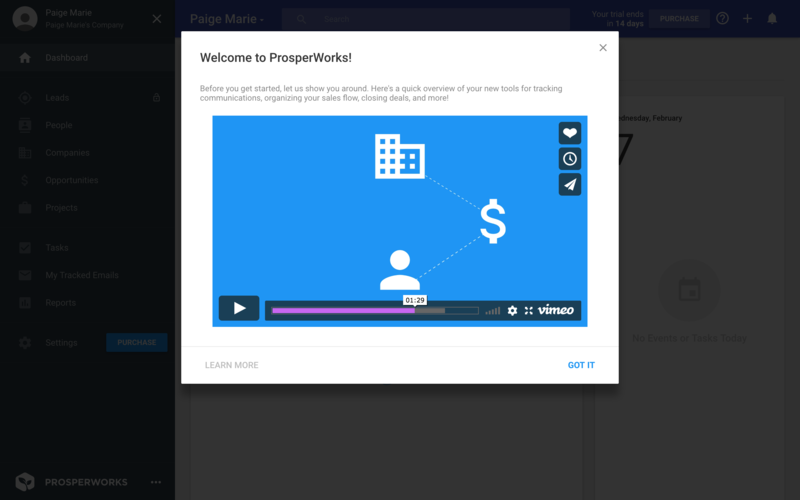 To kick off their onboarding flow, ProsperWorks shares a short video tutorial, giving an overview of their product. 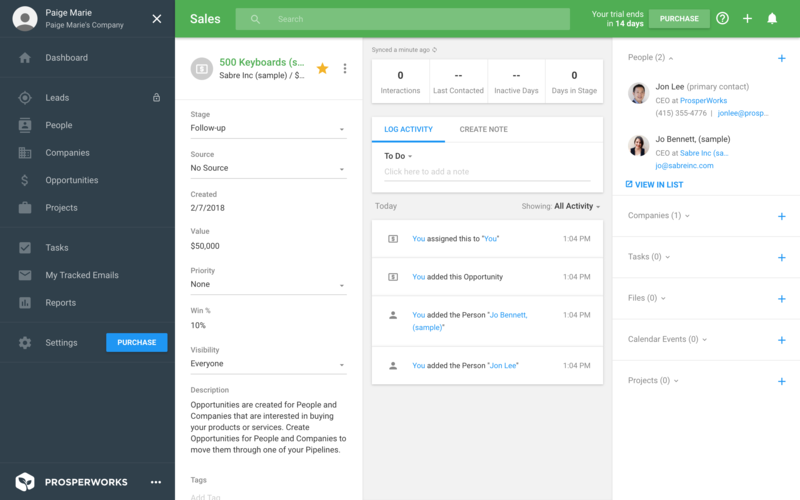 This gives new users an introduction, so they aren't entering their new CRM totally blind. Users are promptly brought to the dashboard, which ProsperWorks has filled with sample data. 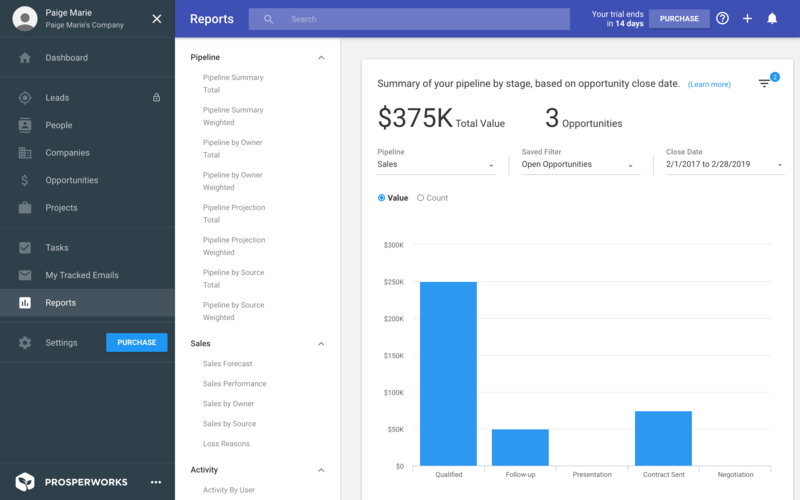 New users can then view sample leads and reports that demonstrate exactly the value that they will get inputing their own data. Within the dashboard, they have also embedded descriptions (like the one under Opportunities in the third screenshot) that take their interactive demonstration even further. To further create a comforting onboarding experience, it helps that ProsperWorks is designed like Google. The UI doesn't jump out as complicated, and new users are met with a familiar and approachable interface.